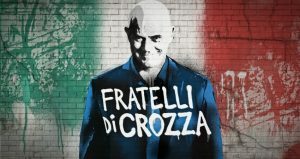 Motion Graphic, Graphic Design and Photo Editing for all graphic contents of TV show “Fratelli di Crozza” on air on “Nove″ on Discovery Italia. Motion Graphic, Graphic Design and Photo Editing for all graphic contents of TV shows “Che Tempo Che Fa – Che Fuori Tempo Che Fa” on air on “RAI 3″ on RAI. 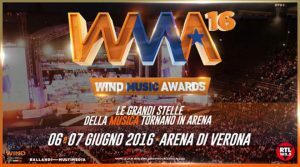 Motion Graphic Design for live concert “Wind Music Awards” on air on “RAI 1″ on RAI (Radiotelevisione Italiana). Motion Graphic, Graphic Design and Photo Editing for all graphic contents of TV show “Detto Fatto” on air on “RAI 2″ on RAI. Motion Graphic, Graphic Design and Photo Editing for all graphic contents of TV show “L’erba dei Vicini” on air on “RAI 3″ on RAI. Motion Graphic, Graphic Design and Photo Editing for all graphic contents of TV show “Undressed” on air on “Nove (Dee Jay Tv)″ on Discovery. Motion Graphic, Graphic Design and Photo Editing for all graphic contents of TV show “Verissimo” on air on “Canale 5″ on Mediaset. 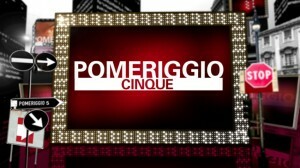 Motion Graphic, Graphic Design and Photo Editing for all graphic contents of TV show “Pomeriggio 5” on air on “Canale 5″ on Mediaset. 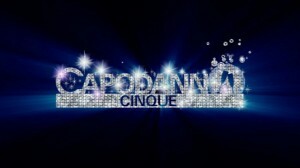 Motion Graphic, Graphic Design and Photo Editing for all graphic contents of TV show “Capodanno 5” on air on “Canale 5″ on Mediaset. Motion Graphic, Graphic Design and Photo Editing for all graphic contents of TV show “Victor Victoria 4 – Niente è come sembra” on air on “La 7″ .